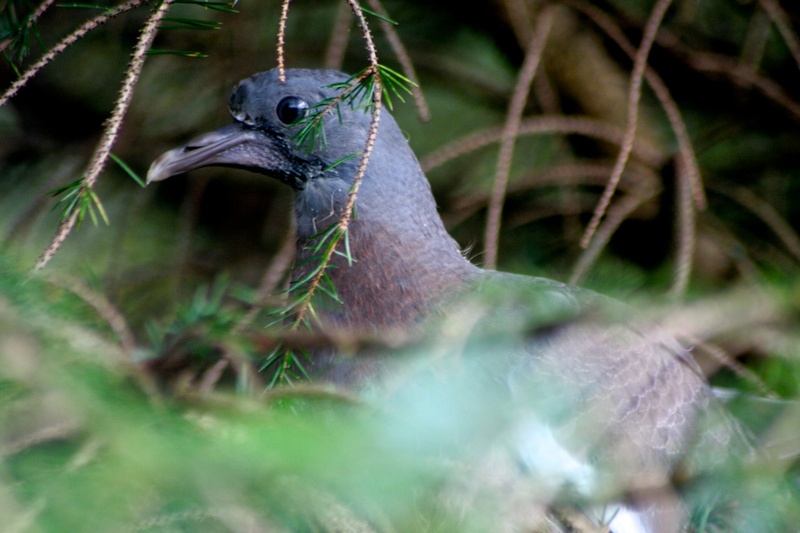 Image above: We have a couple of pairs of pigeons at Hollywood, living and cooing away quite happily amongst the conifers. They love the rowan berries from a few rowan trees we planted on the edge of Hollywood some years ago and have successfully spread rowan and beech seeds from further afield through the forest. Their instinctive actions are a key part of Hollywood’s transformation to a mixes species, more resilient forest. Over the next few months I’m very lucky to have been accepted at various conferences to share my ongoing artful-forest transformation work. One conference I’m presenting at is due to my following the UK Arts & Humanities Research Council (AHRC) funded More-than-Human Participatory project. I recently had news to say that I am presenting at their session of the International Geography Conference in London on Wednesday 27 August. This series of sessions will explore how the co-production of knowledge within (and between) communities is being expanded beyond narrowly human notions of community to take into account the ‘voices’, needs and agencies of non-humans. We seek to explore how co-production has been done (historical examples), is being done, and can be done (imagined futures), with panoplies of non-humans which range through animals, plants, technologies and materials within space-time in both topological and topographical formations. We feel that expanding the processes of knowledge creation through co-production is a necessary step in efforts to address the toxic nature/culture divide and in developing materialist techno-ecologicalisation of politics and ethics (Haraway, Latour, Bennett, Barad etc.). We need deeper engagements with the ecological (taken in its broadest sense), materialised processes which conjure communities into being, sustain them, set them together, apart, in conflict, and bring them down; and in how they might be reformed into more just configurations. We seek contributions which: report upon work that has sought to co-produce knowledge with non-humans; speculate (plan) conceptually and methodologically on how co-productions with non-humans of differing stripe might be done; stage dialogues between specialists in co-production and those specialising in the more-than-human (broadly conceived). methodology from within a small Irish forest. Since 2008 my ongoing eco art praxis involves interactions with a more-than-human forest community in rural South Carlow, Ireland in which I live. My art-led practice-theory research inquiry weaves my transdisciplinary, multi-constituent eco art praxis with new insights from Artful Action Research and other environmental epistemologies to explore a model of best practice in the emergent eco art field. I present and define an artful eco action praxis as one that artfully fosters dialectical cycles of multi-constituent actions and reflexivity which explores and enacts ecologicallly-based sustainability. This builds on new knowledge of Artful Action Research (Seeley and Reason, 2008; Seeley, 2011a,b) and intersecting eco-socio-political contexts. The primary aim of this type of praxis is to visualise, theorise and actualise realisations of mutual, deep sustainability and resilience that complement ecological science. I therefore discuss how this research enables new and valuable understandings and outcomes in the form of art-workings, writings, forest research and forest policies of importance to a specific bioregion in Ireland. Furthermore I explore how an artful eco action praxis model is a valuable applied ecosophical framework with reference to the related but differing ecosophical concepts of Arne Naess and Felix Guattari. This methodological framework can be utilised and modified by other practitioners, in other contexts and places, to address emergent eco-socio-political realities. While this is a fee paying conference, you can see all the other presenter’s topics and research here http://tinyurl.com/ottscbd. General information about the overall conference can be found here http://tinyurl.com/m64ssfb, the theme for the conference is “Geographies of Co-production”. Geographies of co-production – theme for the 2014 International Geography conference London 27-29 August, 2014. In recent years the research and teaching activities of universities have been challenged by a wide range of new encounters, including commercialisation, open innovation, participatory social science, engaged arts, and public engagement. These new encounters are disrupting conceptions of where knowledge resides, how problems are framed, and who should be mobilised to influence research. ‘Co-production’ is the term increasingly used to describe these new encounters, and is shaping research council agendas, institutional practices, and academic identities. The aim of this conference is to reflect on the challenges and new opportunities that arise when geographers reflect what we think we know against the ‘other’, those who start from a different entry point and bring different perspectives to our field of knowledge. It will provide opportunities to examine the challenges of multi-disciplinarity, and explore how different communities might deploy each other’s perspectives to create new understandings. Collaborative knowledge making also requires a robust framework that acknowledges and works constructively with inevitable differences and tensions, encouraging geographers to think more creatively about dynamic locations for knowledge formation, novel forms of exchange and dissemination, and innovative methods for geographical research and teaching. speak about the greater mind which we are all wired for. PS. I need to put out the buzz for the course I’m teaching this summer at Schumacher, If you know of folks looking for a course to tune them into eco art and experience at Schumacher college. Will do Ana, sounds like a great course! It’s good too see such rich research going on out there and I’m glad you’re getting a chance to represent your work amongst it Cathy. Many thanks Geoff, I very fortunate to be able to share the work and really looking forward to meeting others working deeply in this way too.